Sorry fort the terrible pictures. 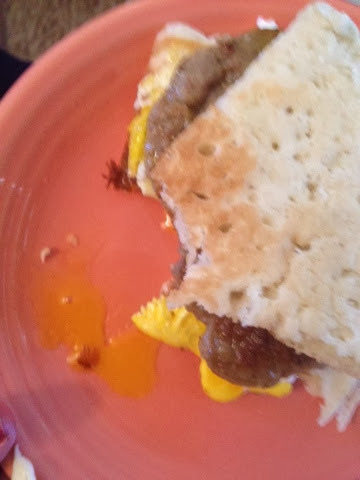 But this breakfast sandwich was DELICIOUS! Wow. You should really try it! I came up with the idea by looking in our fridge and found a leftover pancake. Haha! Seriously! Leftover pancakes are pretty common in our fridge. 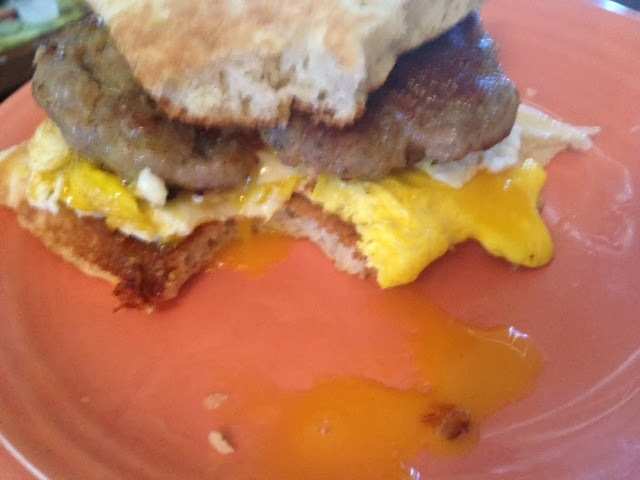 Usually I would build a breakfast sandwich with toast or an english muffin or something similar. But this day... a pancake! Yum! What do you think? Sound delicious? It is. 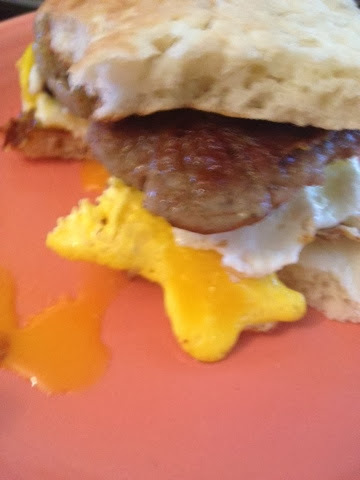 Give these morning McGriddle-style breakfast sandwiches a try!